The 2HR (HR for High Resolution) is the successor of the Victor / Hector 16k models, but this time is conception is entirely french. The machine has been completely redesigned and this new model is then more powerful. This is in fact a completely new machine with more memory and high-resolution. 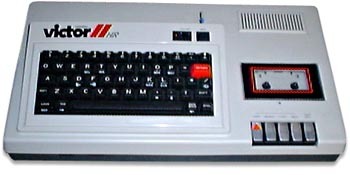 It is still compatible with the 16k models in a "model 1" mode choosen at the start-up menu. END OF PRODUCTION 1986 ? see more Micronique Victor / Hector 2HR / 2HR + Ebay auctions !